Make your business to stand out in the mailbox and strengthen your brand with custom linen envelopes. 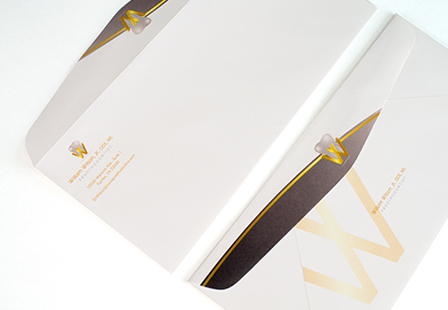 These business envelopes deliver a professional and personalized appearance. Whether it’s printed full color on the entire envelope or just your return address, we can print it for you. Our Linen white envelopes are printed on high-quality 70LB uncoated stock that offers a slight cross-hatch texture bringing class and tradition to any design. Choose from a large selection of sizes and quantities with window option. Our envelopes are lick and seal. Please note that the areas with the adhesive will stay white. Please Select 3.88" x 8.88" 4.12" x 9.5" 5.25" x 7.25" 9" x 12"